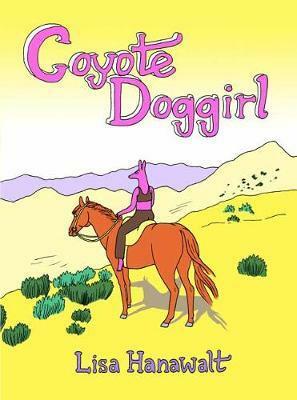 ‘Lisa Hanawalt’s Coyote Doggirl is a surreal western that is fierce, silly and kind of bleak. So funny, and lots of swearing and beautiful colours too! I also loved Aminder Dhaliwal’s Woman World. Set in a future world where men are extinct, this cleverly crafted story is filled with heart-warming and absolutely hilarious observations about how all kinds of women might get along without men around. ‘ The Lie And How We Told It is a graphic novel from Tommi Parrish, art editor of The Lifted Brow, and it’s a wonderfully written, bittersweet story of two old friends who meet by chance, and try to rekindle their relationship, which had fallen apart years ago. This is an emotionally poignant, beautifully produced book that thoughtfully talks about what happens when we grow and change as people. 'The Saga comics have been compared to Star Wars, Game of Thrones, Lord of the Rings and Romeo & Juliet, and I beg everyone to read this singular work. I read the second half of the series so far this year and it is only getting better. The tale of two soldiers from opposing armies and different species falling in love and protecting their daughter from the ensuing fallout is such an accomplished and imaginative world that it appeals across the board – managing to be the best of genre with its spacefaring swashbuckling plot, while the literary flourishes dotted throughout are enough for even the most sophisticated tastes. Find the first book in the series here. ‘One of the sweetest and most enchanting books I read this year was My Beijing: Four Stories of Everyday Wonder, the first graphic novel by established Chinese artist Nie Jun to be translated into English. It has a simple structure – four short stories about a young girl Yu’er and her devoted grandfather, set around the bustling hutongs of Beijing. ‘I picked up Nick Drnaso’s Sabrina after it became the first graphic novel to be longlisted for the Man Booker Prize for Fiction and I found it a rewarding, albeit deeply upsetting, read. An ominous contemplation of the internet age, this is a richly atmospheric work which will appeal to Chris Ware fans. I also got two terrific recommendations for comics this year from my most excellent colleagues. Part travelogue and part ghost story, the charming Onibi: Diary of a Yokai Ghost Hunter follows two tourists as they search for yôkai (the supernatural beings from Japanese folklore), while The Case of the Missing Men is a fantastically creepy supernatural mystery that mashes up teen detective stories with Twin Peaks. ‘I’m a fan of graphic novels, but for some reason I haven’t read many this year at all, which is sad for me! I did pick up and stare longingly at a lot of titles though, and next year, I’ll hopefully be able to squirrel away and read more of them.